Make sure you get those E tanks filled, my fellow Blue Bombers. 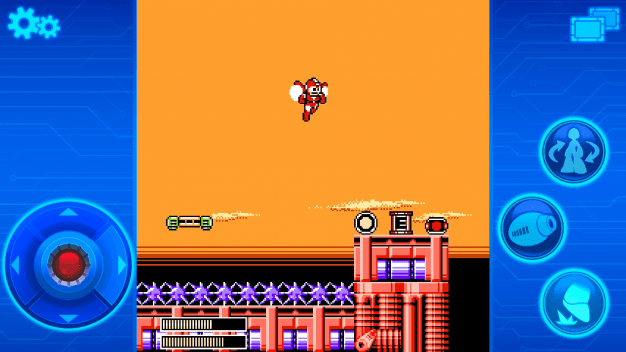 Capcom has just announced that the 8-bit classics, Mega Man 1 through 6, are making the jump from the NES to your iOS and Android devices. This marks the first time Mega Man has been available on a smart device since the series inception 29 years ago. These mobile releases are the perfect way to get back to the roots of the series, as well as reintroduce the iconic character to a whole new audience. Personally, I’m not a big fan of touch screen platformers as the controls are left a bit unresponsive in the conversion. However, Capcom has stated that each game has been optimized for mobile devices so maybe the field of touch screen platforming has advanced since the last time I took a shot at it. Either way, at a modest price of $1.99 per game, it won’t break the bank to check it out. Megaman 1-6 Mobile versions are due to be released in early January 2017.